Intraoperative verification of parathyroid glands relies on visual identification by the surgeon and, with some time delay, on serum parathormon measurements and frozen section. Fluorescence imaging, however, is an instant on-table method for direct visualization of parathyroid tissue which is known to exhibit increased autofluorescence intensity when exposed to near-infrared light. In this retrospective observational study, we evaluate the clinical use of this method in a series of patients with primary and secondary hyperparathyroidism. A total of 66 adenomatous and hyperplastic parathyroid glands were examined with intraoperative autofluorescence in 39 patients with primary and secondary hyperparathyroidism using a near-infrared system (KARL STORZ GmbH & Co. KG). The specimens were verified by conventional histology. Fifty-seven of 66 histologically proven adenomatous/hyperplastic glands exhibited autofluorescence. The sensitivity of near-infrared autofluorescence was 0.9 in pHPT and 0.83 in sHPT, respectively. The positive predictive value was 0.93 in pHPT and 1.0 in sHPT, respectively. 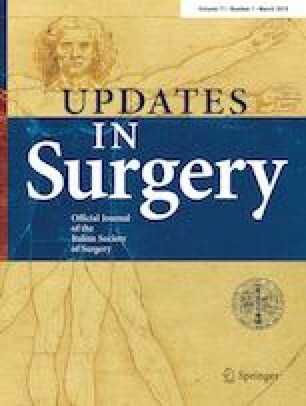 Near-infrared autofluorescence guidance presents an innovative instant surgical imaging tool with sensitivity in detecting adenomatous and hyperplastic parathyroid glands comparable to current intraoperative methods. Due to its elegant and tracer-free design combined with low follow-up costs, this method can be useful for routine use. Wolf HW received financial support and technical equipment from Karl Storz GmbH, Tuttlingen, Germany. The authors Runkel N and Grumbeck B declare that thy have no conflict of interest. All procedures performed in studies involving human participants were in accordance with the ethical standards of the national research committee and with the 1964 Helsinki Declaration and its later amendments or comparable ethical standards. This article does not contain any studies with animals performed by any of the authors. As this study is designed as a retrospective study, formal consent is not required. As data were collected as part of a regular hospital stay and analyzed retrospectively, informed consent was not obtained. The study was approved by the local ethics committee and registered at the German trial register. Trial registration number: DRKS00009840.